Android users can now utilize Amazon's popular Alexa voice-based platform on their favorite devices entirely for free. Here's how it works. Back in March, we reported that Alexa, Amazon voice-operated smart platform, would be landing on iOS devices. At the time, it was unknown whether or not Alexa functionality would be extended to the Amazon Shopping app on Android devices. However, Amazon has now rolled out Alexa to the remaining compatible Android devices on the market, and users can take advantage of the software on their favorite phones and tablets. Here's how to download and use Alexa services on Android devices. 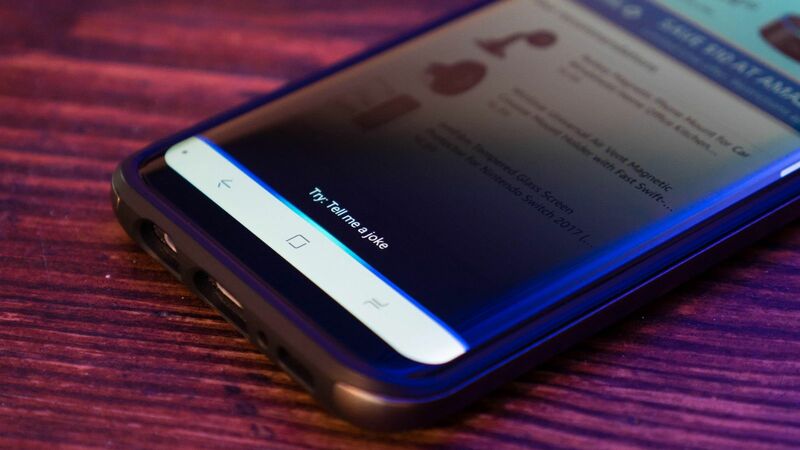 The first step to making use of Alexa's suite of functions on Android devices is to install and run the latest version of the Amazon Shopping app. It can be downloaded for free via the Google Play Store, and Amazon device users can also find the app through the Amazon App Store. 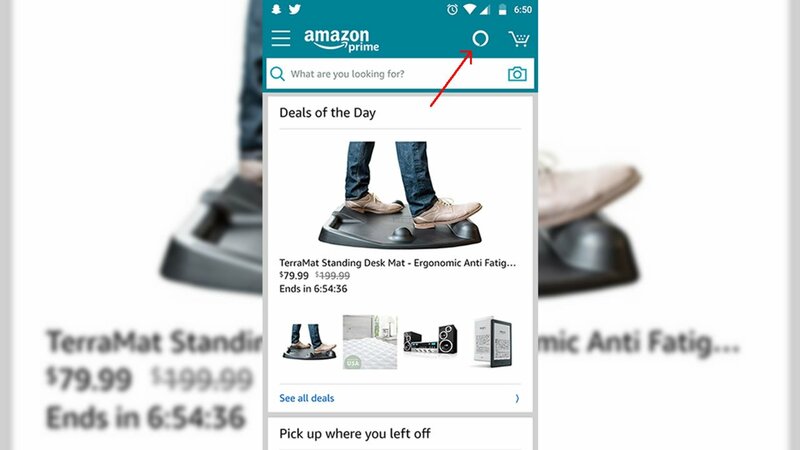 Download the app and install it as usual, then tap on the new Amazon Shopping icon to begin. Once there, users will notice a new icon in the upper-right corner that looks like a ring. This is the Alexa shortcut, and it's likely meant to emulate the spinning ring style used on Amazon's own Echo and Echo Dot devices. After first tapping on the icon, a short informational card will pop up displaying some of the common uses of Alexa. At the bottom of this window, tap the Try Alexa button, then give the Amazon Shopping app permission to access the microphone and other device functions. That's it. After being properly set up, the full suite of Alexa functionality will be available, including product searching, re-ordering supplies, playing music, and even basic web-based searches. What Can Alexa On Android Be Used For? The above referenced track should begin to play automatically, assuming the user has a current Amazon Prime subscription. Additionally, users can use the provided shortcut to open up music playback from within the Amazon Music app so long as it's been installed. Fortunately, the Amazon Shopping app allows for background music playing, so users can enjoy their tunes even after swapping to other applications. Of course, Alexa does way more than play music. Alexa is able to provide loads of various information and tips about everything from news to cooking. For example, users can ask Alexa to set a timer, inquire about calorie count within foods like potatoes or even liquor, and even ask questions that could be typically answered through Wikipedia. Alexa can tell jokes, make pop culture references, and provide insight into forthcoming weather conditions. Like with the Echo or Echo Dot, the Alexa app can also function alongside Amazon's previously-approved skills, which include everything from ordering grub from Pizza Hut to inquiring about workouts. One of the more popular usages of the app is to use Alexa to control smarthome devices like Wi-Fi enabled light bulbs and garage door openers. Alexa can also make movie recommendations, provide showtimes for cable television programs, and even read children's bedtime stories. 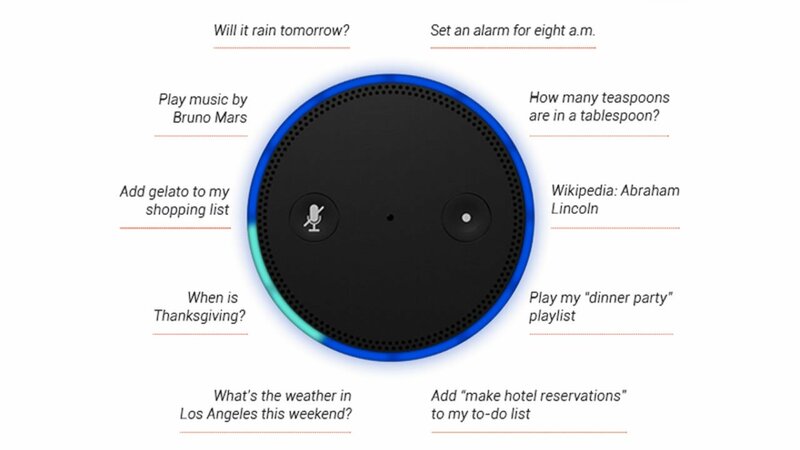 This list is by no means extensive, and Amazon is adding new functions to Alexa all the time. For a more complete list of Alexa's functions and skills, head on over to the Amazon website. Deck out your Android device by loading up one of the excellent mobile titles we've featured on our list of the Best Android Games.